Gingers healing properties come from its volatile oils (gingerols and shogaols), which are also responsible for it’s pungent taste. The oils cause more digestive enzymes to be produced which helps with the whole digestion process and neutralizes the acids that can cause nausea,food poisoning ,cramps and even diarrhea. It also improves food absorption which helps prevent/relieve stomach aches and eliminates bloating due to excessive gas. Ginger is just as effective as vitamin B6 has demonstrated a success rate of 75 percent in curing morning sickness and stomach flu. It also relieves migraines and dizziness, and drinking ginger tea can relieve menstrual cramps. If you are a woman suffering from menstrual cramps, try placing a hot towel drenched in ginger tea over the pelvic area to relieve pain and relax the muscles. Drinking a cup of ginger tea can also provide a soothing effect. In Chinese medicine, ginger tea with brown sugar is used in the treatment of menstrual cramps. 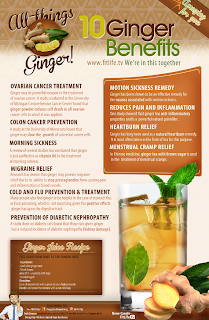 Ginger is an extremely potent analgesic, acting as an all-natural painkiller without the harmful side effects. It also contains potent anti-inflammatory properties. Ginger tea can ease inflammation of the joints, which is commonly referred to as rheumatoid arthritis. It is also effective in alleviating tired, sore muscles and joints.A warm ginger tea soak can lessen swelling and puffiness, or rubbing ginger oil on an affected area can help reduce pain. Intake of ginger twice daily has been shown to improve the pain and swelling of the joints in arthritic patients and improves their range of motion. A study at the University of Minnesota found that ginger may slow the growth of colorectal cancer cells. 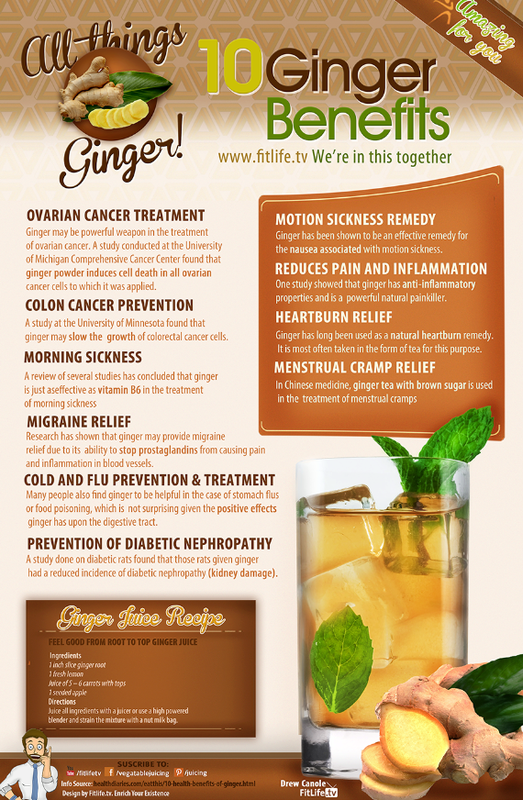 Ginger powder has also been proven to induce cell death in ovarian cancer cell. 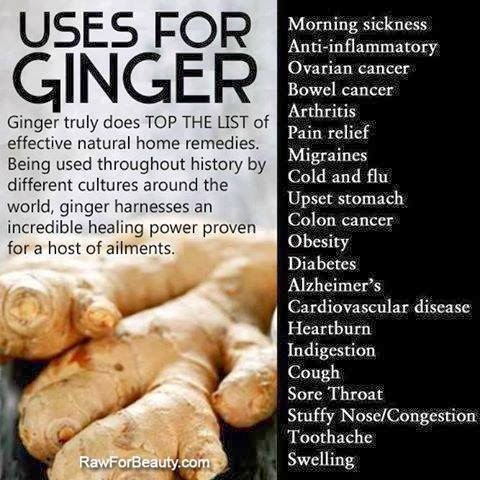 Ginger has long been used as natural heartburn remedy. It is most often taken in the form of tea for this purpose.